Good middle class accommodation in Ko Chang. 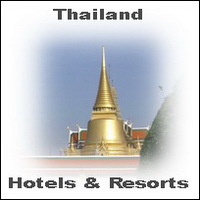 The Lagoon Resort in the heart of White Sand beach offers 3 star accommodation on Koh Chang. The closeness to the center of White Sand and to the perfect tropical beach in Thailand make Koh Chang Lagoon Resort to a famous holiday resort in Southeast Asia. The reasonable prices of Lagoon Ko Chang are popular for families and people on Thailand journey. The beach next to this resort invite for sunbathing, relaxing and swimming in the 30C warm water. From the rooms next to the sand you can enjoy nice views to the colorful sunset on the horizon of the Gulf. Lagoon Resort Koh Chang is one of the best accommodation choices with beach front rooms and a good restaurant in Koh Chang in Thailand. For bookings and reservations click here.